Festival and wedding season is approaching! And you must be busy deciding on your outfits and accessories. May we suggest something?? 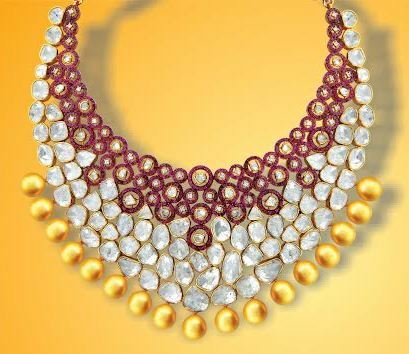 Be it fancy or costume, nothing can add oomph to your wardrobe like diamond polki jewellery. 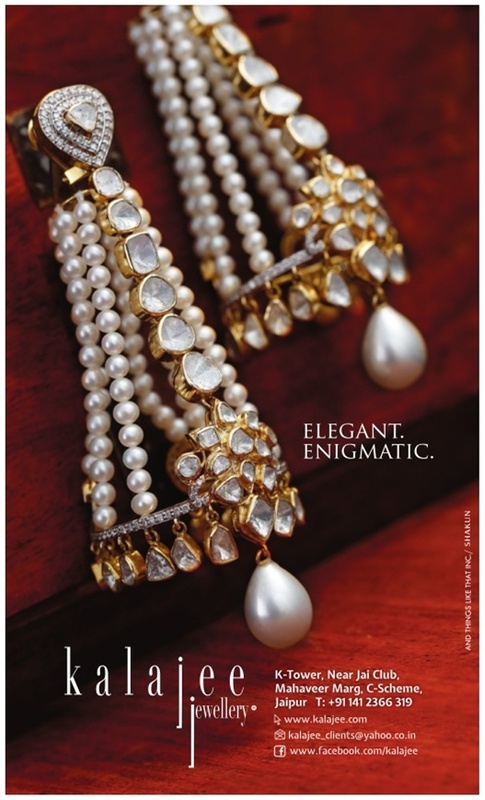 Truly raw yet sophisticated and subtle, a diamond polki set beautifully reflects your style spirit. This festival and wedding season Kalajee Jewellery brings you a fabulous range of uncut diamond Polki jewellery intricately crafted to delight your tasteful selves. Diamonds have always been the symbol of eternity and love. 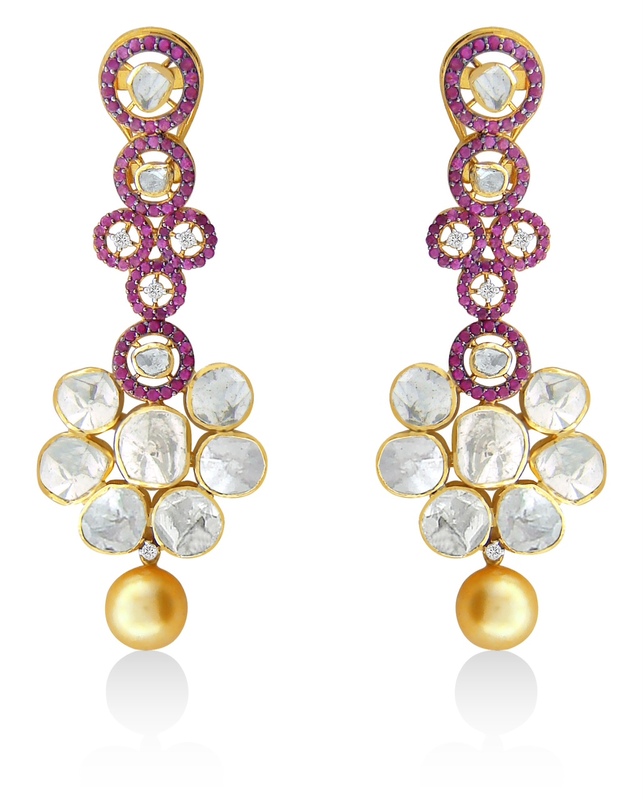 They are, in fact, highly valued and popular gemstone for jewellery designing. Presenting a diamond jewellery to someone is the best way to make someone feel special and loved. 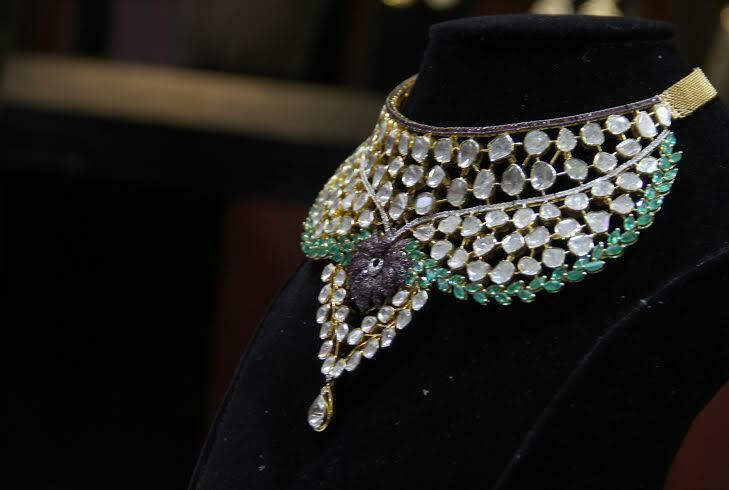 Intricately adorned with the beautiful pieces of uncut diamonds, pearls and coloured gemstones, this award winning necklace is one of the best designs from the uncut diamond jewellery range by Kalajee Jewellery. Not only it is the most beautiful necklace but display a magical blend of sparkle and colours with the matching earrings. The wedding season is here!! And here is your chance to look your best. Match this diamond polki necklace with your favourite outfit and then see how you would become the talk of the town and turn all the heads !! So, what is delaying your shopping? 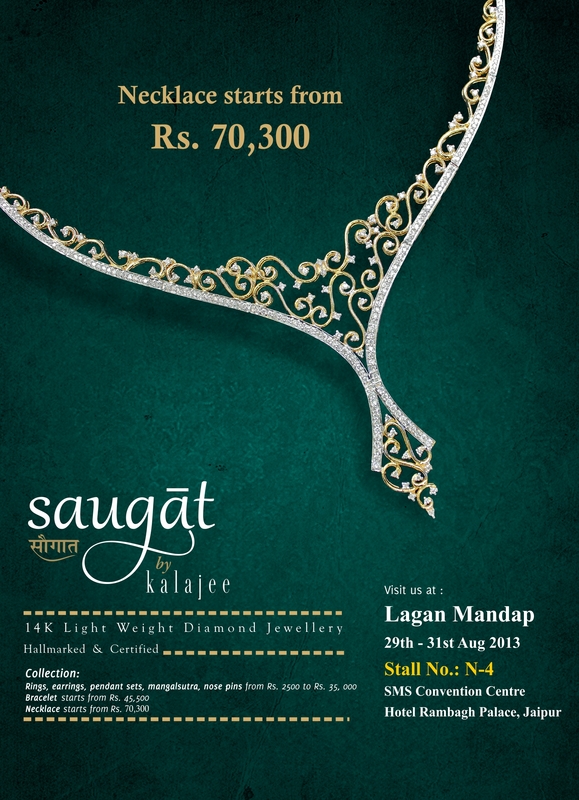 Experience the beauty of Diamonds best in their uncut form!! She has always been beautiful, always been charming. Hearts skipped a beat or two when the smile enlightened her face. Her eyes rich and profound had secrets, which dripped relentlessly at times but the spark always stayed. She in every way was mesmerizing. But today it seems that something was always missing. The smile on the face, the spark in the eyes is extraordinary. Today she emits brilliance as never before. Today something is special. Something special like love. A bride’s beauty is unlike any other. The wedding day brings along with it a charm so extraordinary. 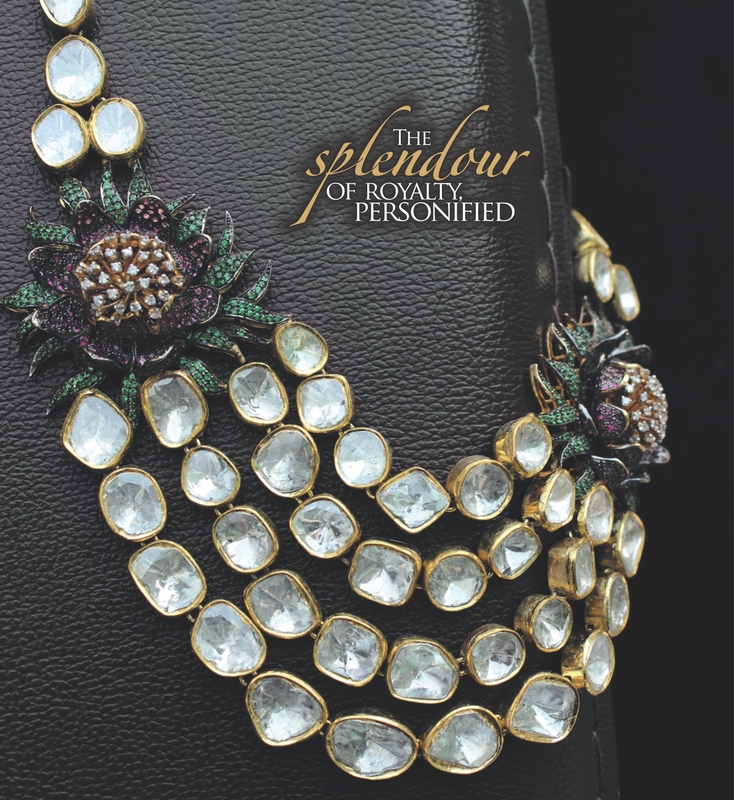 To match her radiance her adornments and attire have to be outshining and that’s where brands like Kalajee Jewellery step in. Crafting jewellery for a perfect wedding requires skill and perfection. 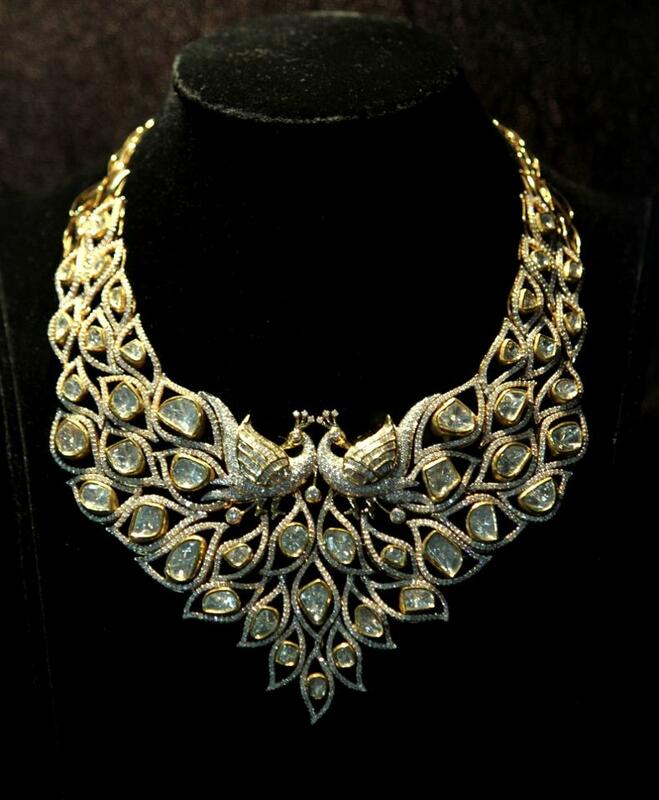 The art demands intricate blending of the precious gems with the tempered metal to create glorious piece of art that matches the pulchritude of a bride. 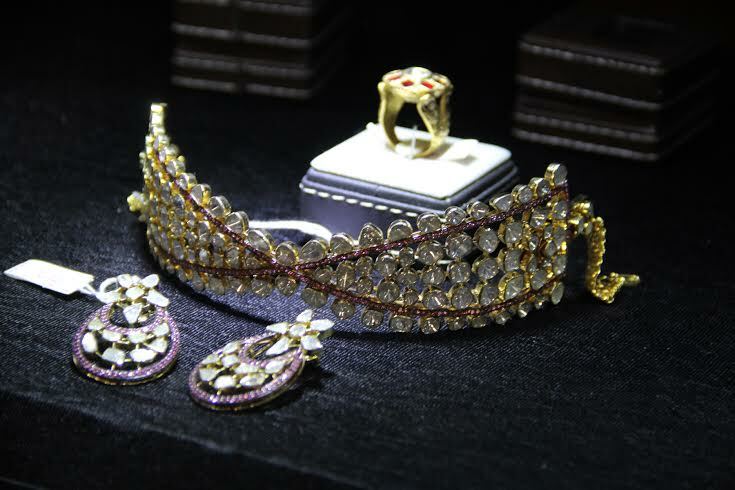 Kalajee Jewellery has worked upon the theme so much that they now masters the art. 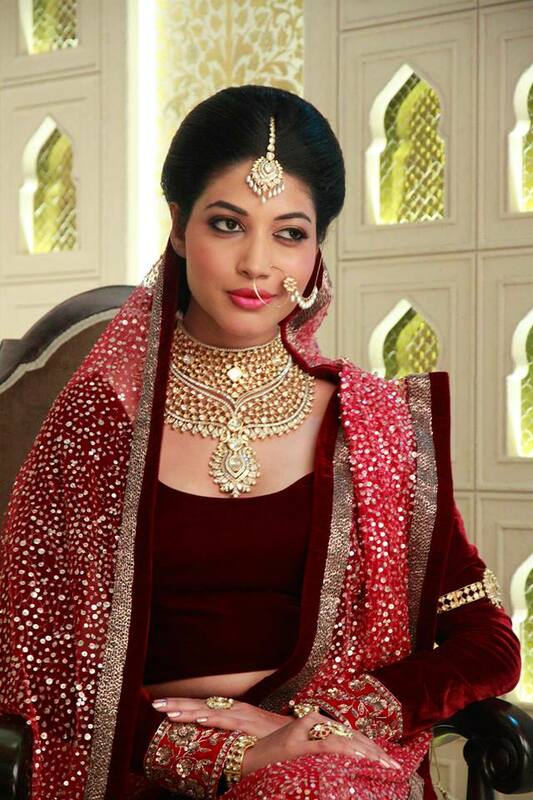 Having an elite clientele from various royal and business families, Kalajee Jewellery has been designing masterpieces for one of the most elegant and sophisticated brides of the country. Every curve a bride’s heart desires for is here!!! 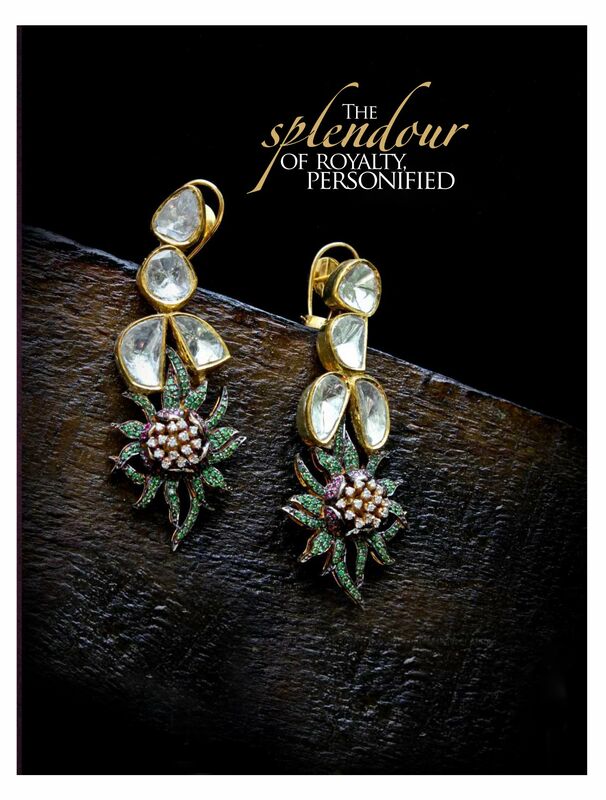 Check out this delicately crafted nature inspired diamond and polki studded jewellery by Kalajee Jewellery Jaipur, also find the matching earrings for the stunning diamond polki Necklaces.